Cities in the global south today face a complex challenge: like all cities, they need to reduce carbon emissions, but they also need to expand access to energy. Around the world, 1.1 billion people currently lack access to electric cooling and could immediately benefit from improved thermal comfort, health and productivity. This challenge will only get harder as climate change accelerates. More hot days mean more demand for air conditioning. The International Energy Agency estimates the world will need to build the equivalent of the existing electrical infrastructure of the United States, Europe and India combined by 2050 to meet the demands of this coming “cooling crunch.” How can we meet growing demand for cooling affordably without blowing our carbon budget? One critical solution is cool roofs. 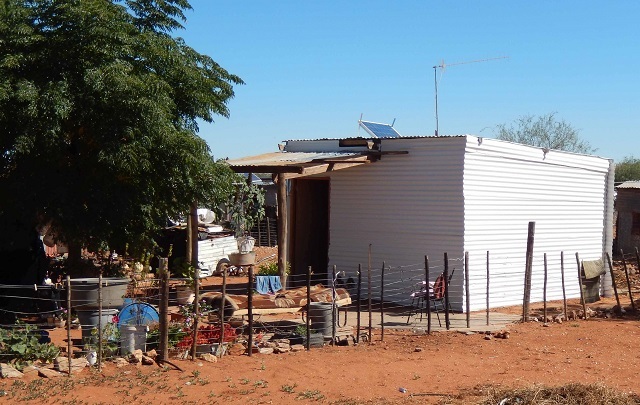 A new challenge prize and grant program is aimed at helping to provide solutions to the lack of access to cooling services in the global south through better roofs. The Million Cool Roofs Challenge is a $2 million program launched in January 2019 by a consortium of NGOs to increase access to affordable, sustainable cooling through the rapid deployment of highly solar-reflective “cool” roofs in developing countries suffering heat stress. Cool roofs are a simple concept. Lightening the color of a roof allows more solar energy to be reflected rather than converted into heat. Just about every type of roof available today has a “cool” version that can reflect a high percentage of solar energy. One of the common solutions is to apply a light-colored coating to an existing roof. Cool roofs can reduce indoor air temperatures by 1-4 degrees Celsius (based on studies from the United States and India). A city with cool roofs deployed at scale can reduce average outdoor temperatures by a similar amount. It may not sound like much, but temperature reductions of even just a few degrees hold substantial potential to improve the health, comfort and prosperity of the urban poor who lack access to electrical or mechanical cooling options. Excess heat, and our efforts to lower it with cool roofs, affects almost every aspect of life, from school performance and productivity to air quality and mental health. What’s more, it’s far more efficient and sustainable to reduce the amount cooling needed than to increase the amount air conditioning provided. The concept of cool roofs may be straightforward, but implementation faces several barriers in the global south. There is still a need to raise awareness of the opportunity of cool roofs generally and to understand their specific local effects in many parts of the world. The availability of coatings and other cool roof solutions such as cool tile or vinyl membranes is often very limited or non-existent, particularly for higher quality and more durable roofing materials. Finally, there is a lack of financing and investment to spur accelerated adoption. The Million Cool Roofs Challenge seeks to address each of these challenges. The first round of the Challenge is a grant of $100,000 to each of 10 teams to build the capabilities, local knowledge and relationships needed to have a meaningful shot at quickly getting cool roof deployment to scale. These funds will help bring together the mix of business, government and NGOs needed for strong, sustainable markets to develop. Finally, the Challenge represents the single largest global investment in cool roof deployment to date and is designed to leverage other private and public funds to amplify its impact. Most importantly, the Challenge will provide the spark needed to ignite local action to improve people’s lives and health today. Take the town of !Kheis as an example. !Kheis is in the Northern Cape region of South Africa, an extremely hot and dry place. 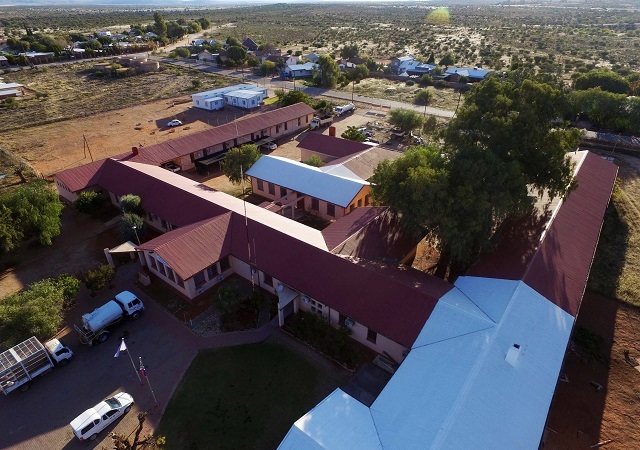 A pilot program to coat roofs and walls of homes, schools and municipal buildings in the town with a cool coating not only improved the comfort of homes but created several new businesses to mix and install cool roof coatings. The pilot has grown to over 500 buildings locally and is now used as a model for funding cool roofs in other South African cities. A town of 10,000 people is bringing meaningful change to a country of 57 million people. The Million Cool Roofs Challenge is designed to uncover more !Kheis stories and empower people to create their own. Applications are now open. If you are interested in joining the Challenge, check out www.coolroofschallenge.org to learn more. Kurt Shickman is the Executive Director of the Global Cool Cities Alliance, a core partner in the Million Cool Roofs Challenge.